Who’s at Fault When a Self-Driving Car Causes an Accident? One of the more interesting aspects of traffic accident law in the age of Big Data and artificial intelligence is the question of self-driving vehicles. When a self-driving vehicle malfunctions, whose responsibility is it to deal with the fallout of the accident? Since autonomous cars don’t themselves carry auto insurance, let alone have assets to sue, these lawsuits bring together various aspects of tort litigation when injuries or even death occur as a result of the onboard AI’s malfunction. Is it an issue for traffic accident attorneys or product liability attorneys? Before we begin to answer that question, we have to look at the current state of the law concerning autonomous vehicles. They’ve been on the road for a couple of years now, and while they’ve mostly done their job navigating traffic, there have been a few deadly blemishes on their records. For now, those lawsuits have been settled by the major automakers who manufactured the vehicles or those responsible for manufacturing the autonomous driving system. The truth is, the amazing new technology is being manufactured faster than lawmakers can develop pertinent safety regulations. The first attempts to legislate autonomous driving systems came in September of 2017. Still, there have been major oversights from developers as the new tech continues to cause accidents. If you’ve ever ridden a motorcycle, you know that they can be dangerous and not just because they go fast. Because they’re smaller, motorcycles are more difficult for drivers to see, and it doesn’t help that bikers have a reputation for being adrenaline junkies and reckless on the roads. Artificial intelligence seems to have the same difficulties here that humans do. 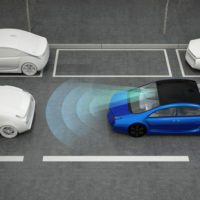 One man was attempting to change lanes when an autonomously controlled GM Cruise veered back into the lane from which it was exiting. The Cruise recognized that a car was decelerating in the same lane that the Cruise was trying to enter. However, the man was attempting to move into that lane himself. That’s where accounts diverge. GM claims that the man was trying lane-split when the Cruise re-entered its original lane. GM cited a police report that said that the man was at fault for trying to pass the cruise. However, the man’s lawyer said that he was not issued a citation for improper driving at the time of the accident. Since the details of the settlement are sealed, we may never know exactly what happened. Suffice it to say, GM found sufficient reason to pay the man for an accident they claimed was his fault. If it weren’t for the fact that this accident involved a self-driving vehicle, it would sound like hundreds of thousands of other accidents involving motorcycles that happen every day. There is a strong possibility that the self-driving cruise never saw the man when it maneuvered back into its original lane. It overestimated the threat of the vehicle decelerating in the lane in which it was attempting to merge while neglecting to see the smaller vehicle in the lane that it was returning to. That happens all the time, even with humans. Have You Suffered an Injury in a Car Accident? If you’ve suffered a serious injury in a car accident, you need a lawyer that understands how to deal with insurance companies. The Jacksonville legal team at Gillette Law can help you secure the best settlement possible. Give us a call or contact us online and we can begin work on your case immediately.